The biggest smartphone story of 2016, the troubled launch and subsequent recall and cancellation of Samsung’s Galaxy Note 7, looks all set to finally draw to a close in the first few weeks of 2017 following a report – which cites unnamed sources when claiming – that Samsung has concluded its investigation into the fiasco and will announce its findings this month. 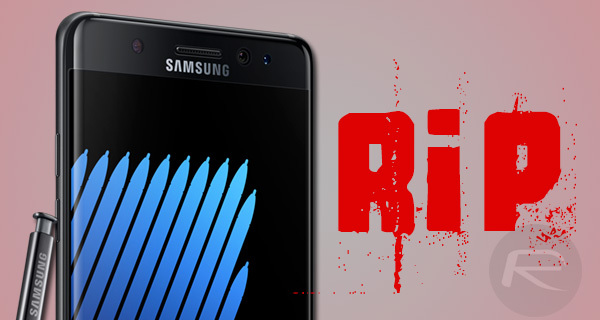 Samsung famously released the Galaxy Note 7 to stellar reviews across the board before initial reports of phones exploding while on charge began to spring up. That was soon followed by a troublesome number of handsets subsequently beginning to catch fire, and in some instances, even explode. This predictably led to a recall of Galaxy Note 7 handsets, with replacement devices handed out to those impacted by the recall. That should have been the end of the story, but further fires and explosions of recalled units left Samsung with no choice but to initiate a second recall, which pretty much was the last nail in the coffin as Samsung finally stepped back, and decided to call quits on the Note 7 once and for all. Samsung, the world’s number one smartphone maker, has already warned of the potential for a $5.1 billion impact to its operating profit covering the three quarters after its decision to permanently kill off the floundering Galaxy Note 7 sales back in October. Following all of those highly publicized unfortunate accidents, Samsung has been carrying out an internal investigation into what caused the battery explosions and subsequent recalls, and it would appear that we are close to finding out the outcome of that investigation. Samsung has refused to comment on claims that the investigation is complete, but this report does seem to be sure that we are on the cusp of an explanation. Once the reason for the debacle is confirmed, attentions will turn to Samsung’s 2017 flagship devices, including the presumed Galaxy S8 and a possible successor to the ill-fated Galaxy Note 7, whatever form that may take. This smartphone caused so much havoc where I work. Can’t wait to hear their excuse on this debacle. They will blame some 3rd party vendor when in fact it was a board level flaw. It wasn’t a board level flaw. 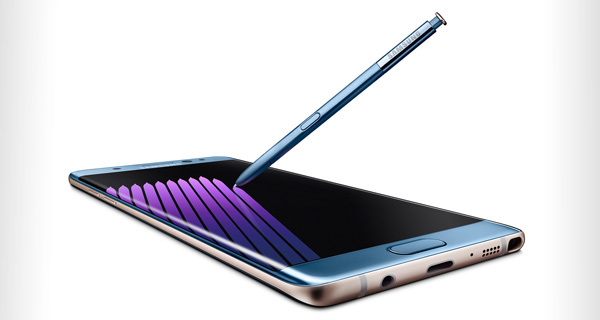 It was the fact that the design of the Note 7 didn’t allow the required room for lithium battery expansion, which resulted in the battery plates making contact with each other and catching fire. It can’t be the design because the edge 7 doesn’t explode. there rumors that say because the size of the phone was to small but I don’t think it was that either . Something to do with the battery charging components I think could be faulty. Jose it doesn’t sound like you are too sure of anything which makes me wonder why you bothered posting in the first place when people here are explaining what happened. Regardless of its failure it was hands down best looking and feature packed phone of 2016! I’m going with them leaving no room for expansion so the plates touched and it burned out! Just like the last 3 iPhones have been 100% identical lol! Don’t come at me with nonsene comments!